Trek describes their new 1120 rigid 29+ as a “touring bike with unlimited off-road capability”. I will get into why I am not fully buying that claim in a moment, but first, lets take a look at the pictures and specs directly from Trek. To many, this appears to be a Trek Stache in different clothes. Yes and no. Lets look a little deeper. The 1120 has a new fork, the 1120 Adventure HCM Carbon. Unlike the 2016 Trek Stache 5 that came with a rigid carbon Bontrager Bowie fork in the standard 100mm width, this new fork uses the BOOST 110mm spacing. All of the 2017 Trek Stache models came with suspension forks using the BOOST 110mm, no rigid forks were offered on any of their plus bikes. 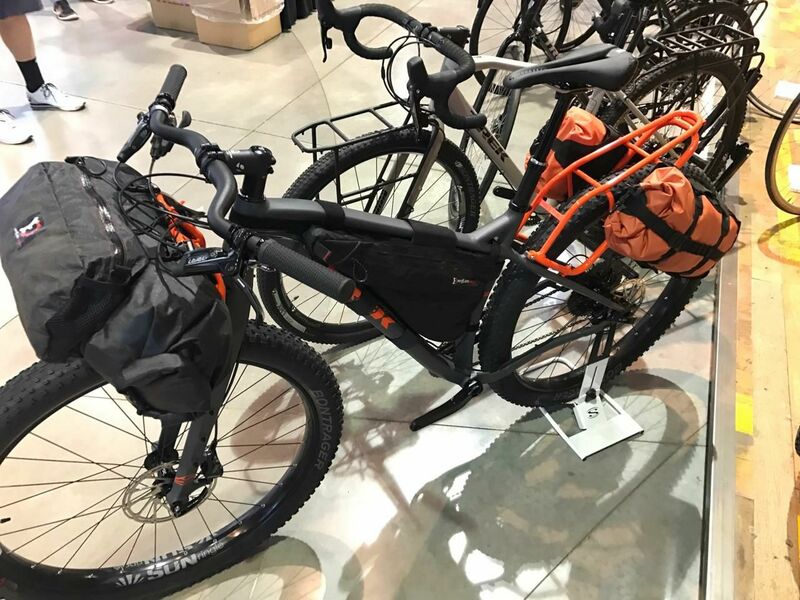 The 1120 Adventure HCM Carbon fork allows for mounting of the proprietary front rack as well as accessory mounts that allow for bikepacking accessories such as the Widefoot Designs Liter Cage, Salsa Anything Cage, or Blackburn Outpost Cargo Cage. I have been running the carbon Bontrager Bowie fork from a 2016 Trek Stache 5 on my Salsa El Mariachi for a year now and love it, but wish that it had the triple bolt accessory mount that this new 1120 Adventure HCM fork. The rear wheel also incorporates BOOST spacing, just like the Stache frames. In fact, it appears that most other specifications are largely the same as the non-carbon framed Stache models. The Sun Duroc SL wheels, Chupacabra 29×3 tires, and SRAM Level T hydraulic brakes appear to be the same as the Trek Stache 7 for instance. Trek plans to spec their single 1120 model with a 1×11 wide range SLX drivetrain, driven by a 30 tooth narrow-wide chain ring up front on a Race Face Aeffect crankset. Very similar to the Trek Stache 5 & 7. The wing shaped Bontrager Crivitz bar is obviously different, but makes sense for riders looking to have a more neutral hand position for long days in the saddle. Where the 1120 frame differs from the other Stache models is obvious in one area however. These mounts allow for the bright orange, proprietary racks that, at least so far, appear to be unnamed and exclusive to the 1120. 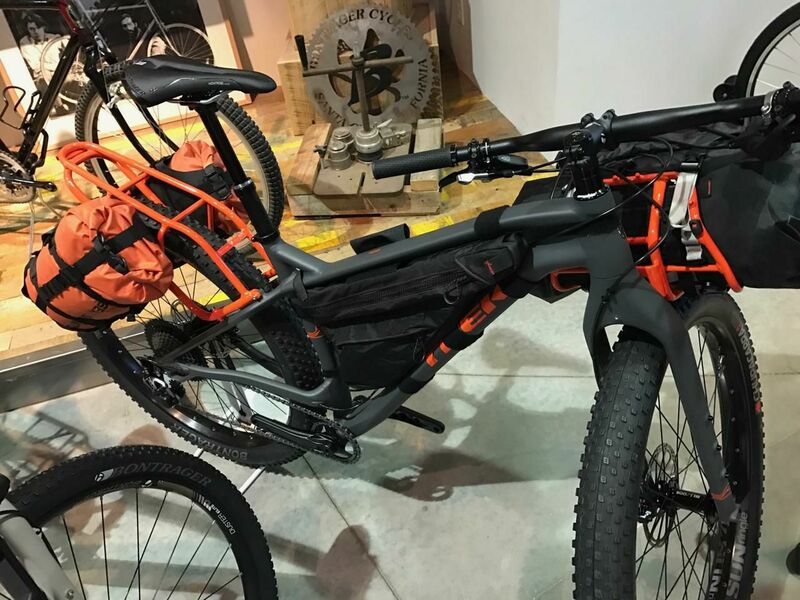 These racks look pretty different than most rear racks on the market as they are not designed for rear panniers, but soft backs that you can strap to the top and sides instead of your saddle and seatpost. Why? In order to utilize the dropper post that comes as standard equipment and has the routing internal, inside the frame. A very nice touch that should make the bike more trail worthy when steeper descents are up ahead. Not only that, but as any veteran bikepacker can tell you, swinging a leg over a oversized seatbag at full saddle height to get off the bike when exhausted at the end of a long day can seem nearly impossible at times, resulting in falling over with a heavy bike on top of you. A very helpful addition for aiding tired riders off their rigs. Looking closer at the geometry, the 1120 is definitely not a Stache in different clothes. This is a different bike altogether. It is built on the Stache platform for sure, but after utilizing design elements from the Stache, such as the elevated chainstay, Stranglehold dropouts, and internal cable routing, Trek went outside the mold. Trek is offering the 1120 in all of the same frame sizes as the Staches, 15.5, 17.5, 19.5, and 21.5. The chainstays and effective top tubes are 2mm longer than the Stache. The head tube angle is 2 degrees steeper, while the seat tube angle remains the same as the Stache lineup. The bottom bracket is a little over 1mm lower on the 1120 for slightly more stability, while reach, stack, standover, and wheelbase all remain the same between the Stache and 1120. What does the change in these numbers mean for how the 1120 will ride compared to the Stache? I don’t know for sure since I haven’t ridden one yet(my contact at Trek is already working on getting me one to test), but my assumption is that it will climb better, be a little more stable, while not feeling quite as playful as the Stache. Do I think the 1120 will live up to the hype of “touring bike with unlimited off-road capability”? No. Ultimate off-road capability to me means that you have even wider range than a maximum size of 32 tooth chainring and a 11-46 cassette can provide. Yes, I enjoy single speeding for long distances off road, but when your bike is loaded, as many touring veterans will tell you, you want a triple chain ring crankset. Well, I would be happy with the ability to run a double honestly. I rarely run more than one chain ring on my crankset as it is, but the ability to run more than one would give the 1120 a better position in the ability to claim “unlimited off-road capability”. The tires are only plus size as well. What about terrain that warrants fat bike tires? 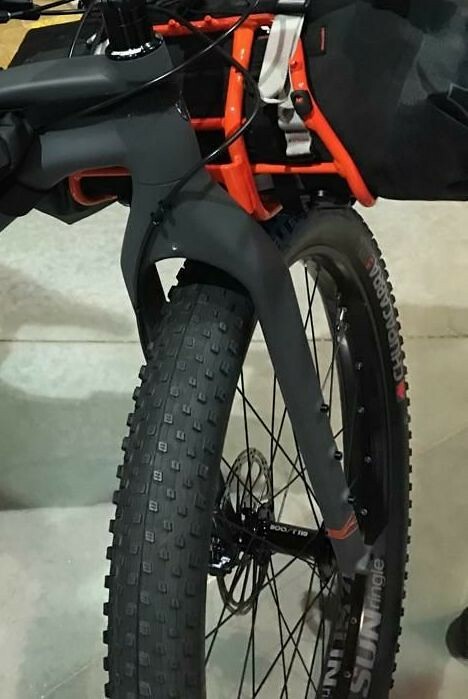 Trek makes the Farley fatbike with 27.5×4.5 inch tires. Those provide unlimited off-road capability. I would speculate that the 1120 could offer maximum efficiency for a variety of unforeseen off-road applications. That is what I would want in an adventure-oriented bike and I think the 1120 might just be the ticket. Stay tuned for a full test and review to come in the future.